After announcing a major firmware update alongside the PS4 Pro and PS4 Slim last week PS4 Pro & PS4 Slim: Are They Worth the Money? PS4 Pro & PS4 Slim: Are They Worth the Money? Sony has announced their new PS4 Pro and PS4 Slim! But are either of them worth the money? Here are all the details you need to know! Read More , Sony has now rolled the update out for download on every PlayStation 4. 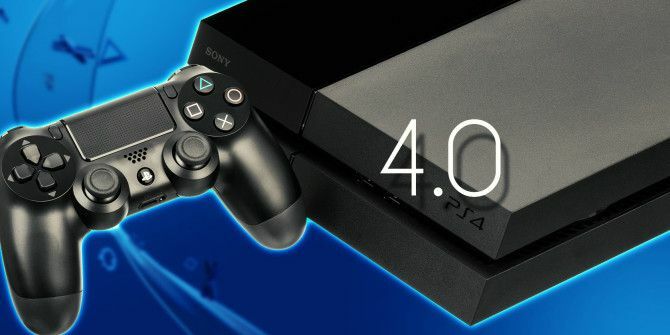 Firmware version 4.0 is a pretty major update in terms of PlayStation software, which has barely changed since the console’s release. Gamers can now organize their content into folders and output in HDR to televisions that support it, all from a slightly refined interface. Here’s what you need to know to make the most of the update. HDR stands for high dynamic range, and it’s the latest reason you need to buy a new television HDR TV: What It Is & Why You'll Need It in 2016 HDR TV: What It Is & Why You'll Need It in 2016 High Dynamic Range, or HDR, is shaping up to be the big TV buzzword for 2016. But what is it? Will it live up to the hype? Here's all you need to know. Read More . Unlike 4K (or Ultra HD) which focuses on upping the resolution, HDR improves the range of color and contrast ratio. In short, HDR TVs can show a wider range of colors, brighter whites, darker blacks, and smoother gradients in between. While traditional display technology tends to lose detail in the highlights and shadows, HDR displays provide more detail while looking more natural thanks to a wider color gamut. The latest PS4 firmware update makes it possible for all of Sony’s current-generation consoles to output in HDR — but you’ll need a screen that can display it first. Not all 4K / UHD televisions What's the Difference Between 4K and Ultra HD? What's the Difference Between 4K and Ultra HD? Thinking of buying a new TV or monitor but feeling lost with all of the terminology like 4K and Ultra HD? Here's everything you need to know about it. Read More (or monitors) are HDR compliant, and there are a few different standards. If you’re looking to buy an HDR-compliant screen, make sure you look for the “Ultra HD Premium” standard. These displays are among the most expensive on the market right now, and many of the “affordable” high resolution screens on the market don’t yet include the feature. If you do have a HDR display, you can enable the feature under Settings > Sound and Screen > Video Output Settings. PS4 owners with a lot of games (or who regularly grab all of the monthly free PlayStation Plus games Xbox Live vs. PlayStation Plus: What Do You Get With Each? Xbox Live vs. PlayStation Plus: What Do You Get With Each? If you're got a PS4 or Xbox One, you've probably thought about subscribing to PlayStation Plus or Xbox Live Gold. Let's see what they offer gamers for the price. Read More , regardless of whether they intend to play them or not) have had a hard time finding what they want for a while. With firmware 4.0, folders make organisation much easier. Highlight a game or application, and press the controller’s Options button. Create and name a new folder, or choose an existing one. Use the sorting feature to decide on the order you want your item to appear in. Changes you make on the home screen will be reflected within the Library, and vice versa. The Library is a bit different too, and now includes a Purchased tab and some neat sorting options for Applications, Games, and TV & Video services. You can activate the Quick Menu by pressing and holding the PS button in the center of the controller. 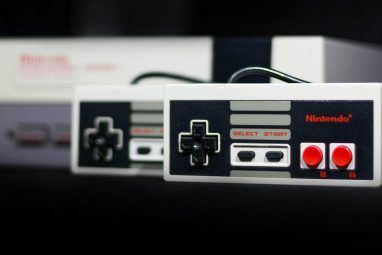 The menu was previously used for powering the console off, changing sound and controller settings, and closing the currently running application. Sony has now added some extra options to choose from. By default the Quick Menu provides additional options for the game you’re currently playing, like trophies, other players you’re playing with, and other game sessions you can join. There are also options to see online friends, play video game soundtracks on Spotify 25 Original Video Game Soundtracks You Can Listen To On Spotify 25 Original Video Game Soundtracks You Can Listen To On Spotify For the price of an album per month you can subscribe to the music streaming service Spotify and listen to as much music as you can possibly stuff into your ears. You can even feel... Read More , and change online status. Select the Customize to change the order in which these items appear, and disable any you won’t be using. You can also add a few more shortcuts, including Accessibility options, quick access to your Communities, a Party button for grouping up with friends, and a Broadcast option for streaming. This menu no longer obscures the entire screen, but takes up a good portion of the left-hand side. This pleasant but not entirely revolutionary change is also reflected on the Share screen. Sony has implemented a few other interface changes too, like a redesigned What’s New screen. In-game achievements, shares, and other events no longer appear on a messy grid, in favor of a Facebook-like scrolling feed. You can also access trending content on the right-hand side, along with players you may know or want to follow. The information screen that appears below each game and application has also been revised. Trophies now appear at the top, with broadcasts and media under a Trending section. Everything just looks a bit nicer. 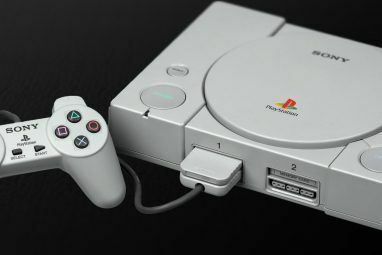 Sony really wants you to buy their new console, and they’re making it as easy as possible to move your old data across to a new machine with a wired Ethernet connection. Simply head to Settings > System > Transfer Data from Another PS4 on your new console to start the process. There are Pro-specific changes in the release notes, which won’t have any effect until it is released on November 10. 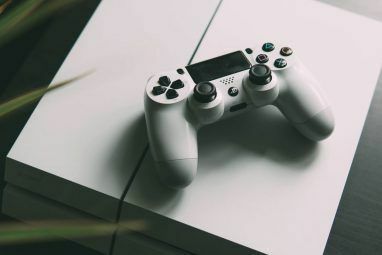 Early adopters will be able to use Remote Play on their Mac or PC Play PS4 Games On Your Mac or Windows PC With Remote Play Play PS4 Games On Your Mac or Windows PC With Remote Play Sony has just released an update which allows you to play PlayStation 4 games on your Mac or Windows PC. Here's how you can set it up! Read More in full 1080p, and enjoy Share Play in 1080p also. There’s also support for 1080p broadcasting at 30 or 60 frames on YouTube, and 1080p at 30 frames on Twitch. Your PS4 will either prompt you to update the next time you turn it on, or the next time you try to connect to PSN. If for some reason your console hasn’t done this, head to Settings > Software Update and follow the prompts. What other features do you want Sony to add to the PS4? And will you be buying the PS4 Pro? Let us know what you think in the comments. Explore more about: PlayStation, PlayStation 4.